IBM released a marketing document on how Tivoli software provides an integrated approach to managing software. It's pretty good for a marketing document on integrating the information for a green data center. IBM assumes a PUE of 2.0 and don't discuss how they can use their tools to improve PUE. 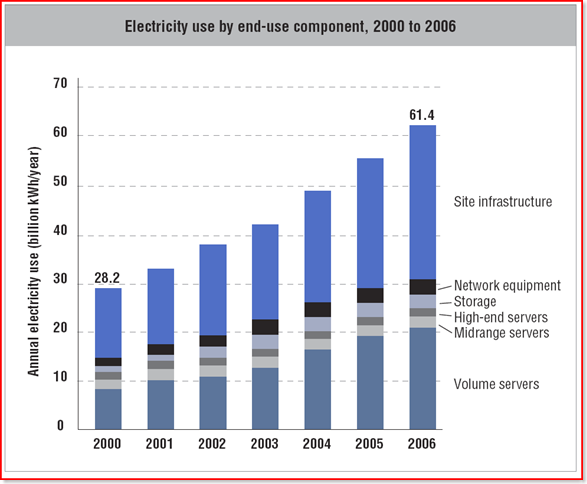 The one thing I did find useful is their electricity use by component, 2000 to 2006. For now a green data center tool I like is Mike Manos's Scry.